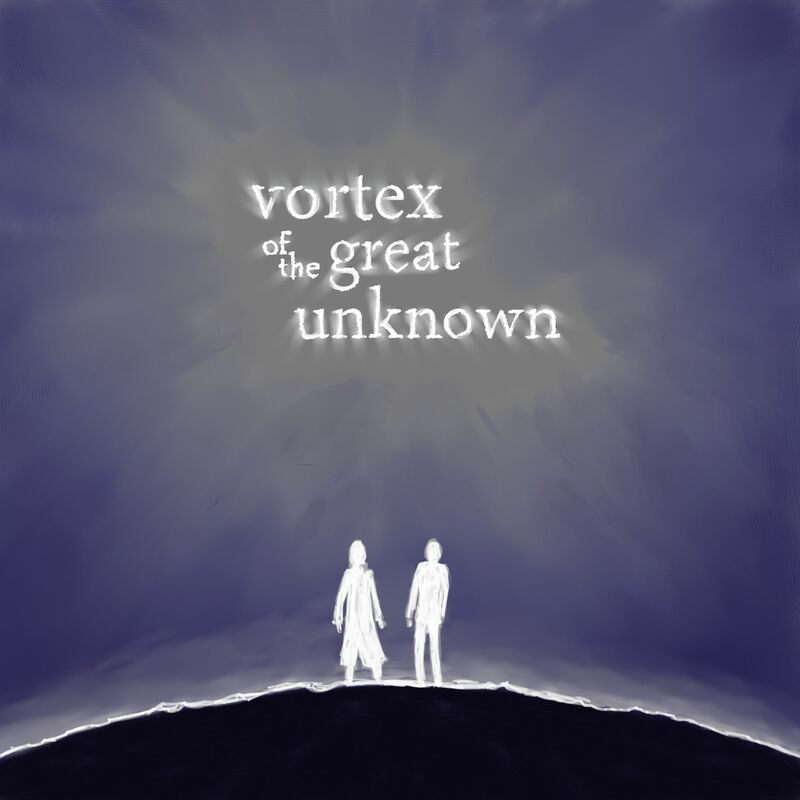 I was recently enlisted by the musician/playwright/all-around-creative-whirlwinds of the Tangled Leaves Theatre Collective to create promotional art for their new play Vortex of the Great Unknown, which will be performed as part of this year’s Cincinnati Fringe Festival. 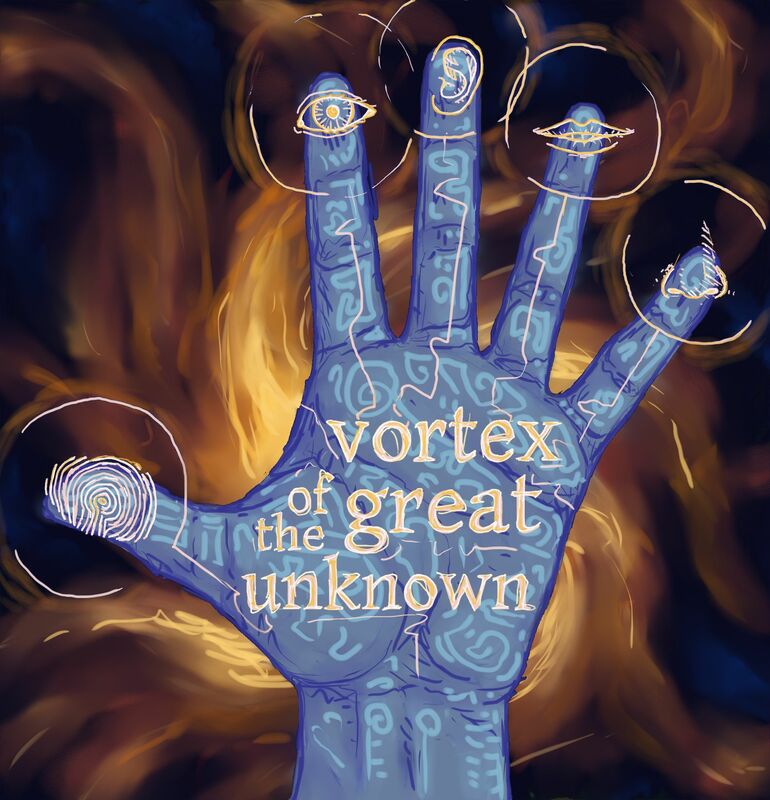 The finished image was needed within a couple days, so the ensuing creative process played out in high speed. What follows is the very rapid gestation of the image. Ultimately, this final image was the winner. As a bonus to you, good reader, the preceding images can be printed out to create one of the world’s stranger flipbooks. 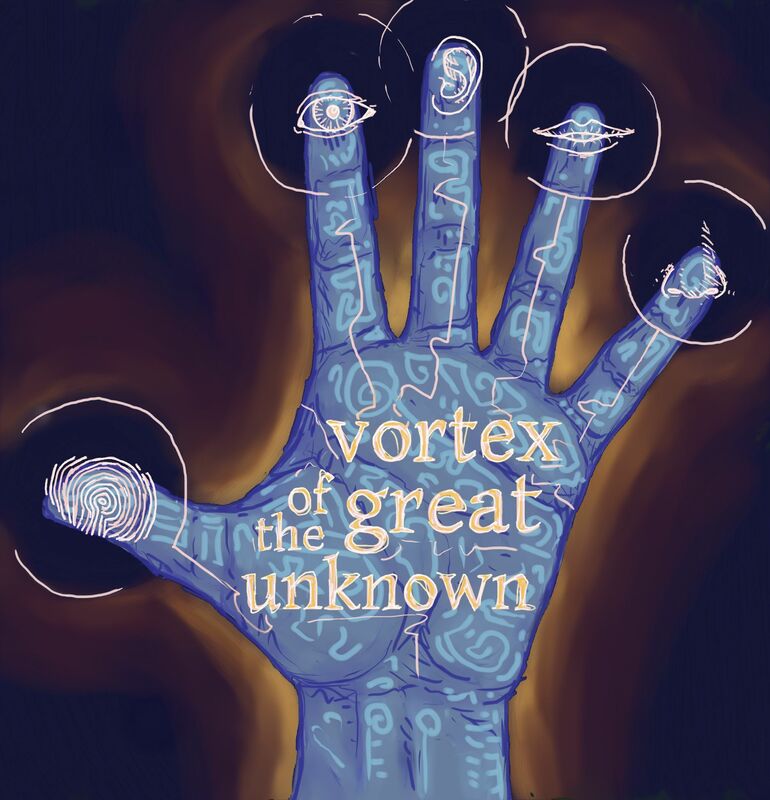 Vortex of the Great Unknown by the Tangled Leaves Theatre Collective will be performed this June (dates TBA). 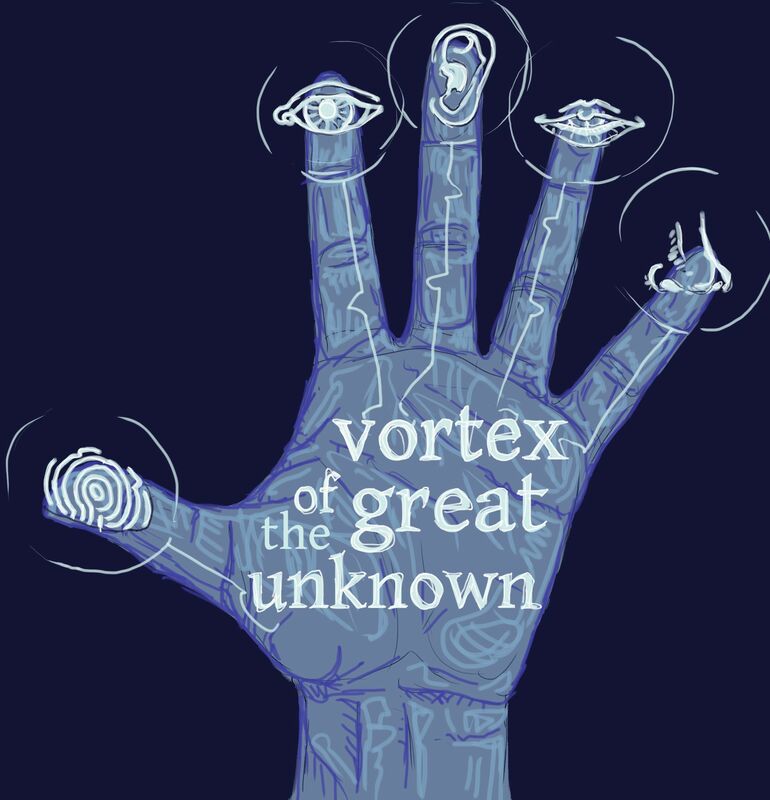 It’s a marvelous play, and I heartily recommend checking it out. Damn Robin! When did you become a master of digital painting? This is really great. Love the line drawings in orange and white.